After nine years of the current phase of war and conflict in Afghanistan that began in the wake of 9/11 terrorist attacks there seems to be no solution in sight. 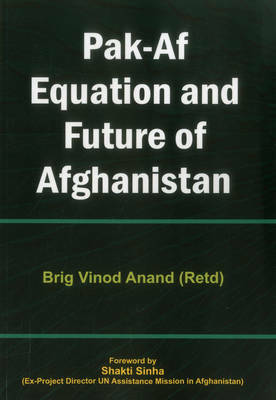 This book's first section examines Pakistan's role in Afghanistan and postulates that there has been no fundamental change in Pakistan's role in respect to Afghanistan since last six decades. The second section looks at the dominant drivers of the current situation and gazes in the future to arrive at possible scenarios based on the trends. Unfolding and implementation of the Af-Pak strategy of Obama administration is the key driver of the likely future scenarios.